Kevin was born in 1969 in Philadelphia, PA. He now resides in Doylestown with his wife and four sons. Kevin and his wife are proud supporters of their children's educational and extra-curricular interests. 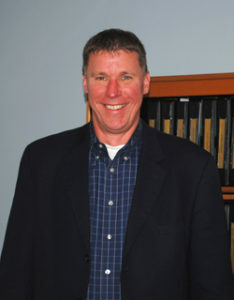 Kevin has coached baseball for Doylestown Athletic Association and currently serves on its Board. Kevin founded Mazullo and Murphy, PC with Chris Mazullo in 2003. Kevin received his law degree from the University of Villanova Law School in 1997. He received his Bachelor's degree from Temple University in Philadelphia in 1992. Kevin is admitted to practice in the Supreme Court of Pennsylvania and New Jersey; the Eastern District of Pennsylvania and the District of New Jersey. He is also a member of the Bucks County Bar Association. Kevin's primary areas of practice are Estate Administration, Estate and Trust Planning, Real Estate/Title Services/Zoning, and Family Law.